Brighten Your Employees’ Desks with Gifts that Stand Out! Your boss says, “Can you look into a gift for the department?” You say, “Yes, of course! I’m on it!” Meanwhile, you’re thinking, “Oh geez–where do I start?” The answer is, right here! In a world of overwhelming options for just about everything, finding a place where quality promotional products are found for you for can really save time and effort in your decision-making process. A strong employer-employee relationship is key to any successful business, and creating a supportive, comfortable atmosphere is a great way to help forge that bond. The employer provides work and guidance, the employee gives their time and expertise. The employer provides compensation to the employee, but most likely also some daily stressors and headaches! Every employee needs to know they’re appreciated. If you do right by them, they’ll be a lot likelier to do right by you. They will continue to devote hard work, commitment and loyalty to the job. This idea is so big that there is even an unofficial US holiday, Employee Appreciation Day, on the first Friday in March every year that recognizes and appreciates employees in all industries, and aims at helping employers keep their staff. If you’re considering providing your employees with a thoughtful gift, the options can be overwhelming; we’re here to steer you in the right direction, according to your specific needs and budget. If you’re looking for a morale booster, a gift to increase oxygen levels, help the environment and increase company brand awareness all at the same time, then look no further! This mini bamboo planter kit includes seeds and a special soil disk, packed in a bamboo container and outer packaging made of recycled paper. You can choose from a variety of planter colors and seed options. “Having plants in your office can make staff happier and more productive, researchers have claimed. They said a bit of greenery can boost productivity by 15%.” — Mark Prigg, DailyMail.co.uk. Without enough water, our health suffers, and when our health suffers, so does our work. When we’re at work without our caffeine, we can’t function, either. It’s one big problem. But, YOU can help! Provide your employees with stellar water bottles that show them that your company cares about their health and well-being enough to give them an attractive, high-quality product. 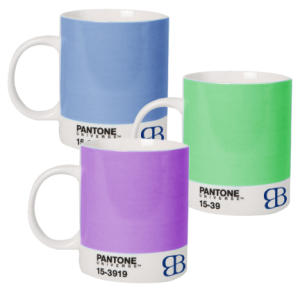 Maybe you pair this with a pantone-matched mug for their much-needed Monday morning coffee! According to “Staying Hydrated – Staying Healthy” from Heart.org, dehydration can be a serious condition that can lead to problems ranging from swollen feet and headaches to life-threatening illnesses such as heat stroke. As for coffee, a Forbes.com article and research from the London School of Hygiene & Tropical Medicine say that coffee improves concept formation and reasoning, orientation and attention, and perception. Not only will you be keeping your employees healthy and alert, you’ll also be proudly displaying your company’s brand on every desk. And they’ll be happy to get some great-looking company swag. If you like timeless gifts that are professional, stylish and practical, then look no further. 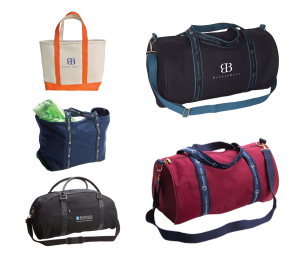 These bespoke bags are classically designed, high-quality totes and duffels tailored specifically to represent your company or organization. There are dozens of canvas, trim and color options, which include high-visibility decorating options, such as custom woven ribbon featuring your logo in full color, an embroidered logo, or an embossed leather patch. The heavyweight canvas bags are available in a variety of stock colors, or for an additional cost and a minimum order quantity, Pantone matched fabric. A BankerBag is a gift that anyone will appreciate, keep and use for years to come. Your BankerBag can be used for short getaways, as a gym bag, as a picnic or day at the beach companion. Additionally, an unprecedented level of customization and design control ensures that your bag will be a perfect representation of your business. Regardless of your industry, you will hit a home run here. Consider your next employee gift in the bag! 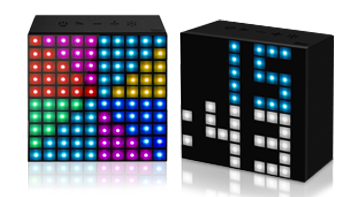 Mixing tech, imagination and fun, this gift is the ultimate desk-brightener. The Aurabox is an all-in-one Bluetooth speaker with a built-in microphone, LED lamp, thermometer, smart alarm clock and a desktop notification system for texts, emails and calls. It also comes with an app that allows you to create your own designs in colored lights! The Aurabox is a smart, uplifting, creative, and innovative tech-gadget focused on keeping your employees inspired by light and sound. It will brighten their desks and put a smile on their face— you definitely won’t go wrong here. We hope this has given you a great jumping-off point. The next step for you is to compare your options with some key buyer criteria. What is your priority here? Is it turnaround time, price, or practicality? We think these choices will help you be the next office hero. Whether you’re rewarded with a simple thank you from your boss, the smiles on employees’ faces or the pleasure of seeing your chosen gift in use every day, you’ll see—it’ll be worth it!